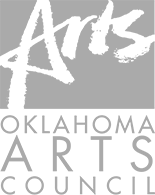 TULSA, Okla. – August 14, 2015 – On Friday, August 21st at 7:00 p.m. and Sunday, August 23rd at 3:00 p.m. Tulsa Ballet will celebrate the tenth year of its pre-professional ensemble Tulsa Ballet II with On Your Radar. The program features ten talented young dancers on their way to stardom and will be composed of three pieces: Passages, Angeli (Angels), and Slump. Born in Bologna, Italy he started his dance studies in Turin with Sara Acquarone and then in Cannes at the Centre International de Danse Rosella Hightower with Josè Ferran, Edward Cook and Rosella Hightower. Paolo continued training at the Corso di perfezionamento Ater in Reggio Emilia, in the Cuballet of Havana and in London Danceworks. He worked as a dancer in the Ballet Victor Ullate in Madrid, in the Balletto di Toscana directed by Cristina Bozzolini, and the Zaragoza Ballet directed by Mauro Galindo. He also danced solo roles in choreographies by international choreographers Uwe Sholtz, William Forsythe, Rudi van Dantzig, Hans Van Manen, Mauro Bigonzetti, Nacho Duato, George Balanchine, and Leonide Massine, among others. Today, Paolo Mohovich is considered by the Italian dance press to be one of the most interesting in the field of formal contemporary dance. He has created over fifty ballets for his company Balletto dell’Esperia and for various others. Joshua L. Peugh is the Founder and Artistic Director of Dark Circles Contemporary Dance. After graduating from Southern Methodist University, Joshua moved to South Korea to join Universal Ballet Company. Since then, he has created work for festivals in Asia, Europe, and North America winning awards for his choreography in Korea, Japan, Canada, and the USA. He has been chosen as one of Dance Magazine’s 2015 “25 to Watch,” and was recently named “an important discovery” by The New York Times. Joshua has been commissioned to create for BODYTRAFFIC, BalletX, Company E, Ballet Memphis, and Whim W’Him among others. Tickets for On Your Radar start at just $25. For tickets call (918) 749-6006 or visit www.tulsaballet.org. Ask about TBII mini-subscription and see two shows for just $40 – a savings of $15! The performance will take place at Studio K at the Tulsa Ballet Headquarters, 1212 E. 45th in Brookside Tulsa. 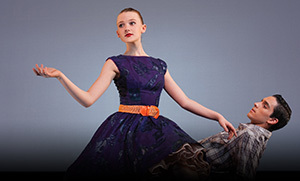 Start at $25, call the Tulsa Ballet Box Office at 918.749.6006 or visit www.tulsaballet.org. Visit Tulsa Ballet at www.tulsaballet.org.